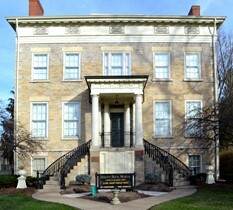 The Follett House Museum, an architectural setting for historical exhibits of Sandusky, Erie County, and Johnson’s Island, is a branch of the Sandusky Library. This beautiful Greek revival limestone house, built between 1834 and 1837, is one of over 140 structures in Sandusky now listed on the National Register of Historic Places. In 1974, the Sandusky Board of Education leased the building, which accommodates the Follett House Museum, to the Sandusky Library. In 1981, Follett House Museum became the property of the Sandusky Library. 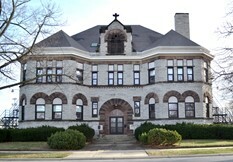 The building previously housed the administrative office of Sandusky Schools and the Sandusky School of Practical Nursing. 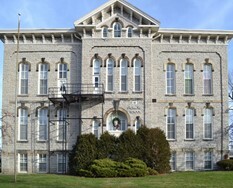 Adams was constructed in 1867 and is the second oldest school building still in active use in Ohio. This structure was renovated in 1914 and 1977. It has 91,935 square feet. After being the original high school, the building was renamed Adams Junior High in 1958 to house seventh grade until 2010. For the 2010-2012 school years, both seventh and eight grade students were housed together. For the 2013-2014 school year the junior high was moved to the 300 wing of Sandusky High School, and renamed Sandusky Middle School. 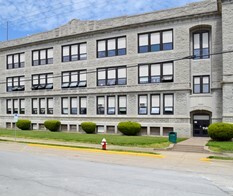 The Adams Building is still in use by Sandusky City Schools and is housing the Sandusky Digital Academy, an alternative to traditional high school, and sections are leased to the county school system. Barker Elementary School,the second oldest school building in the district, was constructed in 1874 and had 17,132 square feet. 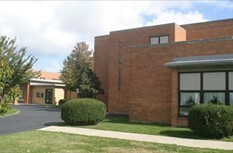 This building was in active use until June 2006 when the staff and student body of Barker Alternative School were relocated to Sandusky High School. The building has been sold. Campbell Elementary School was originally designed with a clock tower. This tower was destroyed by a tornado in the 1920’s. The original construction was in 1884 with additions made in 1976 and 1991, and is a 28,860 square foot structure. This building has been closed and sold. Osborne Elementary School was constructed in 1890 and currently serves students in grades Kindergarten through six. A multipurpose addition was built in 1991. The structure is 43,842 square feet. 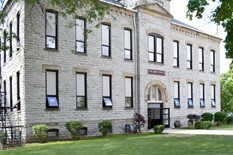 Firelands College began at Osborne under the leadership of Karl Whinnery in the 1950’s. Monroe Elementary School was constructed in 1894 at a cost of $23,000 and originally called the Ninth Ward School. Additions were made in 1903 and 1991. The structure is 32,638 square feet in size. The building served students in Kindergarten through sixth grades until June of 2006 when the building was retired, and eventually sold. The Regional Center/Jackson Building's current physical structure is the result of the linking of three different buildings: the Old Lutheran (school) building, the Caswell building (car dealer and garage), and the main building (including the original Convention Center). The original structure was built in 1898 with building modifications in 1920, 1927, and 1937. The structure is 86,994 square feet in size which includes a large gymnasium, swimming pool under the gymnasium a unique feature, and an organ in the gymnasium. When completed Jackson had one of the first PA systems of its kind in the eastern United States. Jackson housed the eighth graders until 2009. 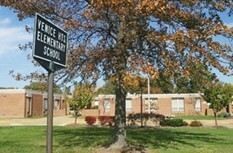 The building served as Jackson Learning Center for district preschool classes from 2010 until 2012 when preschool classes were moved to elementary buildings. In August of 2013 the Jackson Street section of the building was refurbished for the new Regional Center for Advanced Academic Studies, a dedicated gifted education center. The building continues to provide gymnasium and pool facilities to 7th and 8th grade students, and the community. Hancock Elementary School was originally built with only 4 classrooms and an office. Now it is the largest elementary building (square footage) within the district and serves students in Preschool - 6th grade. The original construction was in 1923 with additions in 1928, 1931, 1948, and 1966. The structure is 47,223 square feet in size. The Sandusky City Schools Administration Building was for many years the Executive Offices of the Hinde and Dauch paper Company. It was donated to the Sandusky Board of Education by the Westvaco Corporation on January 26, 1968. 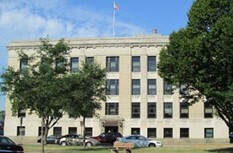 Currently the building houses offices of the Superintendent, Curriculum, Treasurer, Student Services, and Information Technology. In addition, the third floor serves adult education students enrolled in the Sandusky Career Center. Madison Elementary School served students in grades Kindergarten through six until 2009. The “original” 1872 Madison School was located on the corner of the present lot, now the grassy area in front. The current school was built around the original school, with students helping with the move. The original construction date was 1939 and a multipurpose addition was constructed in 1991. The building is 29,937 square feet. The building has been sold. The Transportation Department was originally located at 1420 Tiffin Avenue and has since been relocated to 1304 Filmore Street. It is responsible for the safe and efficient transportation of more than 2,600 youngsters and the maintenance of our bus and vehicle fleet. Each day our routes travel a distance equivalent to a trip from Sandusky to Miami, Florida. Our busses cross 93 railroad crossings a day in our city alone. Ontario Elementary School opened in mid-1952 and the entire population of Sycamore School moved to Ontario on one cold wintry day. An addition was made in 1968. the structure is 42,347 square feet in size and currently serves students in grades Kindergarten through six. Mills Elementary School houses students in Kindergarten through grade six. It was constructed in 1954 and has 38,605 square feet. An addition was built in 1991, adding more classrooms and a computer lab. Sandusky High School is the largest high school in the State of Ohio under one continuous roof. In 1855 SHS graduated 4 students, its 1st graduation class from what is now Adams Junior High. The current structure was built in 1957 with additions in 1967, 1970, and 1973. The structure is 315,445 square feet. The Cultural Center at the rear of Sandusky High School is a gallery that brings to the community each year a series of theme-oriented art exhibits featuring the work of professional artists and craft persons of regional and national reputation. Venice Heights Elementary was constructed in 1970 and is 43,740 square feet. It houses students in grades Kindergarten through six. The high school soccer field is adjacent to the school building.